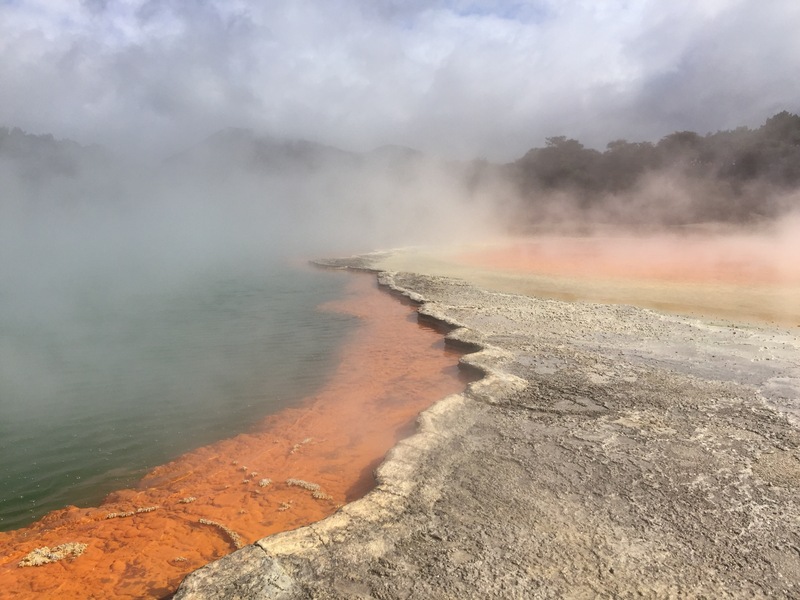 Waiotapu is only 30 minutes drive from Rotorua, but a must to see! We arrived around 8:45, the park opened at 8:30. We waked the first loop, until the Champagne pool, the most known attraction of the reagion. 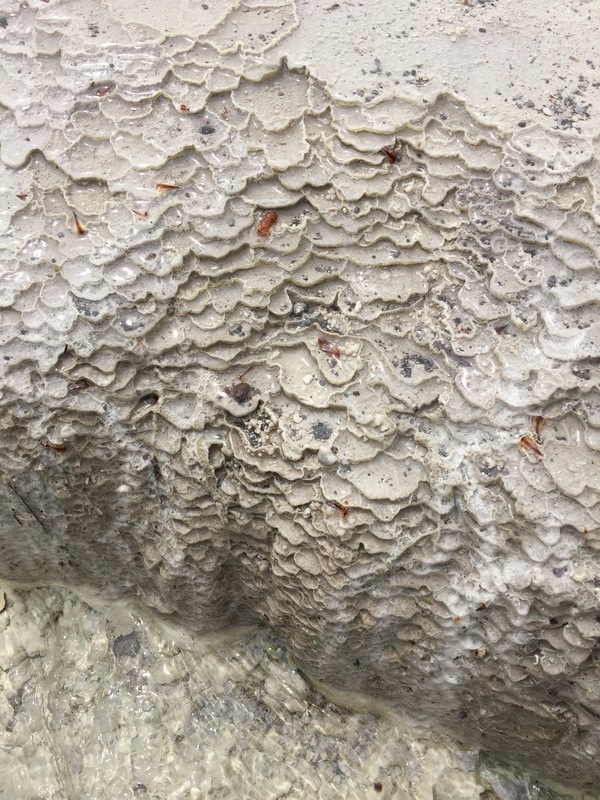 Amazing, all the park is spectacular, and you must stay over there at least 3 hours!!! 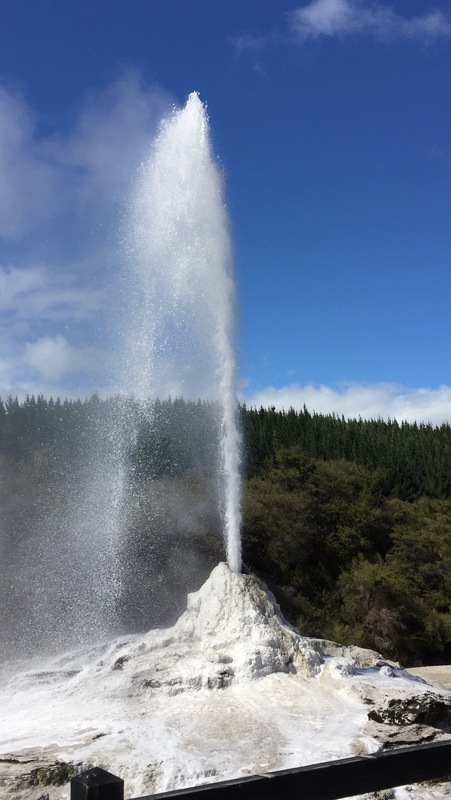 Please keep always in mind that the Lady Knox geyser is on his top at 10:30 punctually every day, and you need to go there with the car around 10:00 to get the best seat. The show will last from 10:30 until 11:00 and it is a must to see! 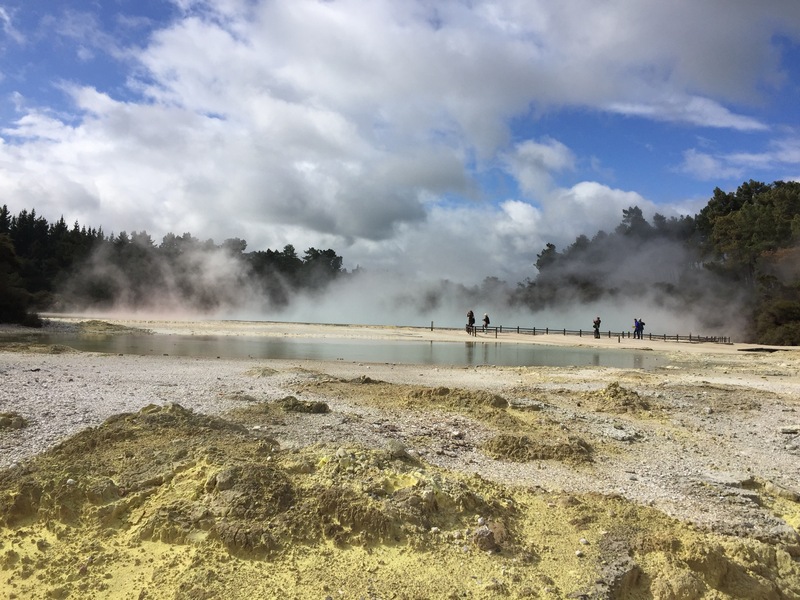 The other 2 loops should also be done, in my opinion… in any case you could spend in Rotorua the complet stay of your New Zealand! So amazing!!! 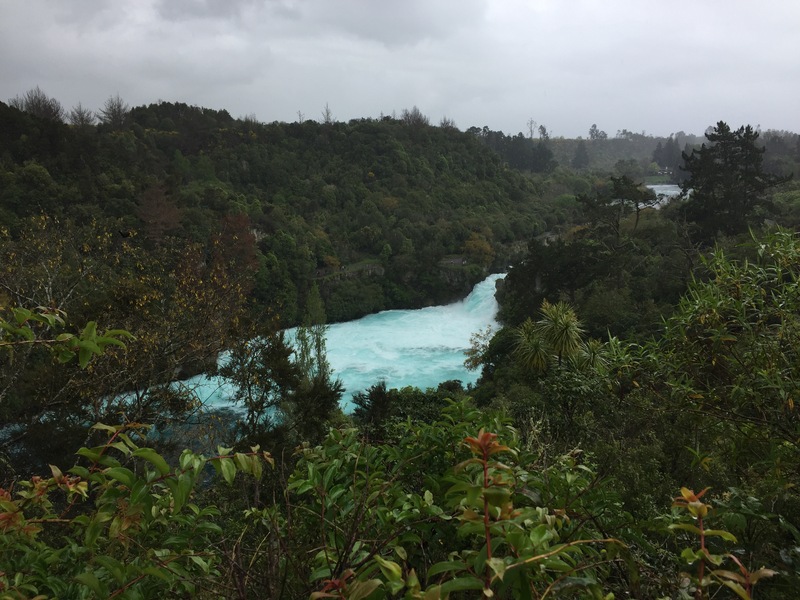 We decided to have a quick look of the Huka fall and the lake Taupo. 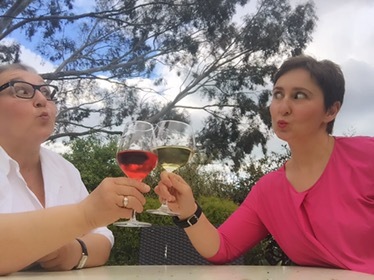 We did not spend so much time in lake Taupo because of rain, but as in any place in New Zealand, you could stay there at least 1 week doing every day something new! 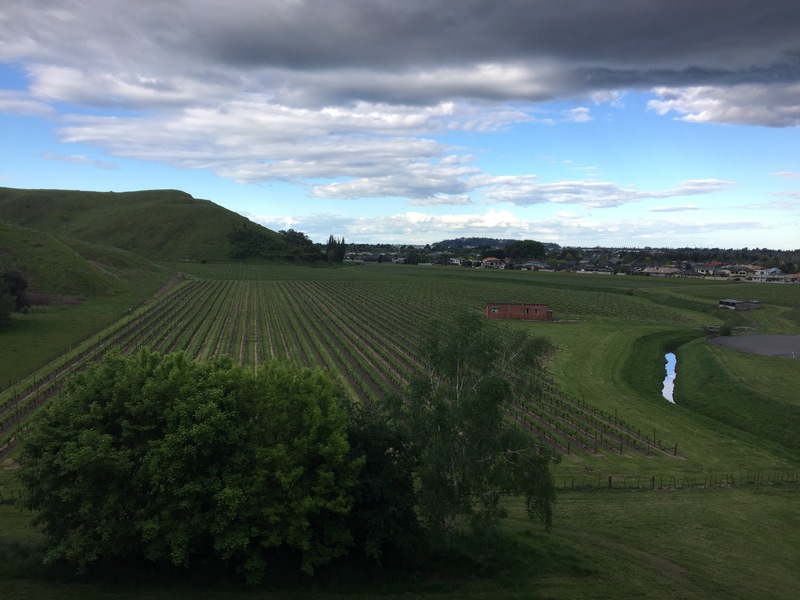 We spend the end of our day in a winery, the Mission estate, one of the best of New Zealand. Please be advice that the cellar and the tasting is available until 17:00. 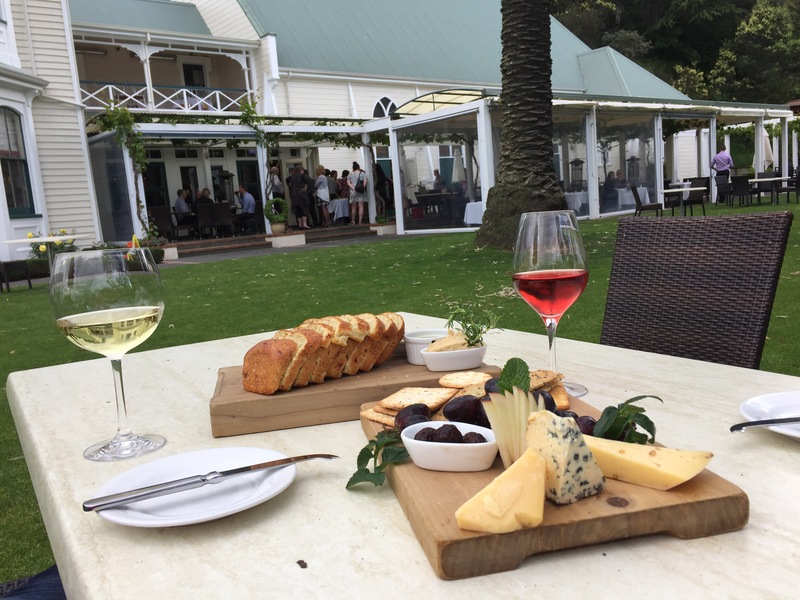 Anyhow you could eat at the gourmet restaurant of just taste some cup of wine in the grass I front of with a good and tasty selection of cheese and home made bread!